Charging the service batteries on board of a vehicle or vessel can be challenging. Recharging tends to take a long time and batteries may not receive a full charge. This is a common problem found in boats, service vans, campers and trucks. Smart alternators and start/stop systems make the problem even worse. Traditionally, a service battery is linked to the starter battery by means of a charge relay. The starter battery is located close to the alternator and receives most of the charge current. However, the service battery is usually further away. Long cables cause voltage drop, leading to slow charging, resulting in failing appliances and premature failure of the battery. Modern, fuel efficient engines are equipped with smart alternators, following regulations such as Euro 5 and Euro 6. 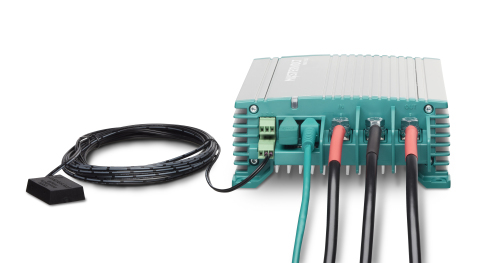 Instead of a constant output, smart alternators provide a variable voltage; after a brief charging period, voltage is reduced and the charging stops. Furthermore, the energy produced by regenerative braking leads to voltage peaks. Service batteries coupled in the traditional way will receive hardly any charge and may be damaged by these peak voltages. 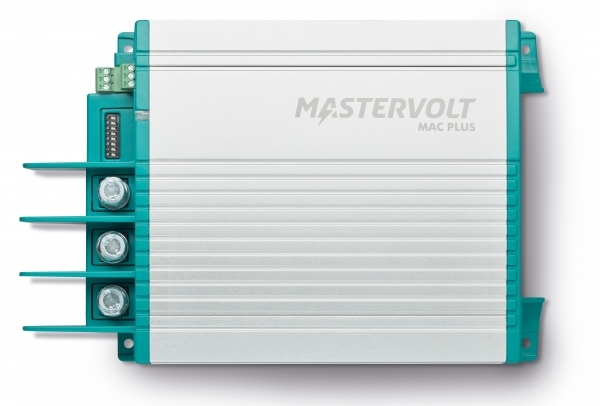 To solve these issues, Mastervolt introduces the Mac Plus DC-DC chargers, available in 12 V or 24 V. The Mac Plus monitors the service battery and compensates the voltage loss. The proven 3-step charge method ensures a quick and safe charge. Moreover, by stabilizing the charge voltage, Mac Plus protects your service battery and sensitive equipment. The Mac Plus is your battery’s best friend. It monitors your service battery and makes sure it’s always fully charged, maximising the lifetime of your battery. Fast and safe charging during short trips. Fanless design for silent operation. Suitable for flooded, Gel, AGM and Li-Ion batteries (incl. LiFePO4). Charges even fully depleted batteries. Engine run detection protects starter battery. 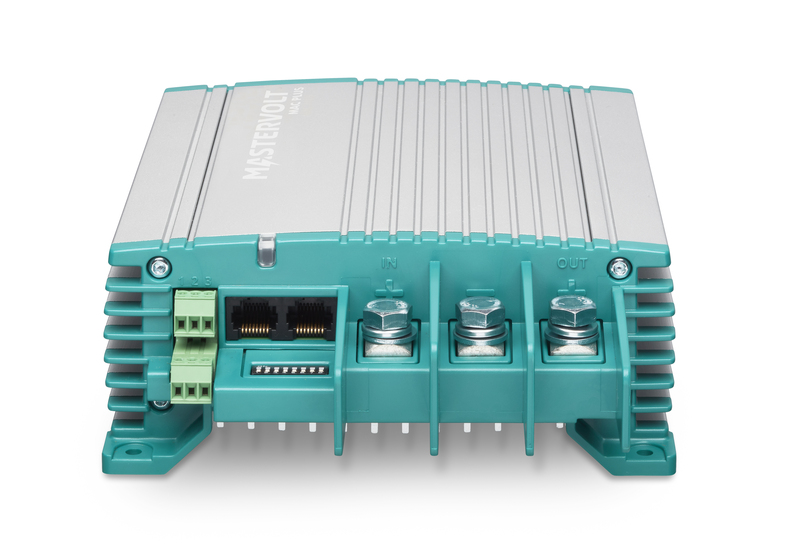 Adjustable current limits to meet Euro 5/6 requirements. 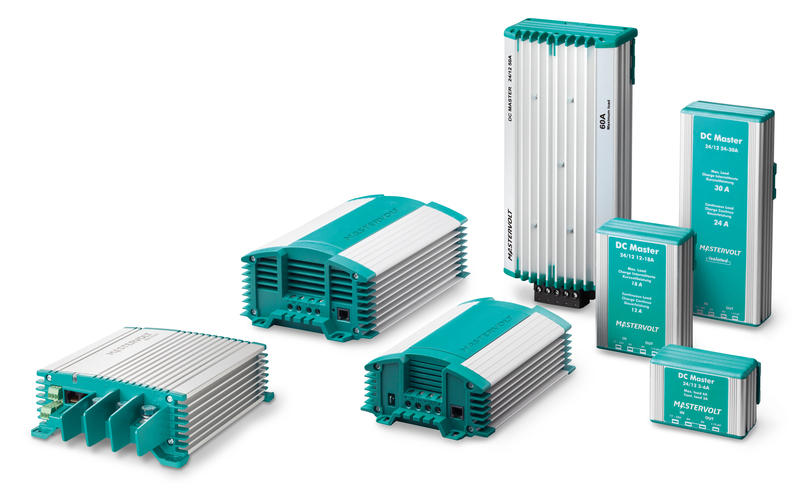 Voltage stabilisation protects sensitive equipment, lights and loads. Parallel operation to obtain charging capacities well over 100 Amps. MasterBus for intelligent system monitoring and automation. 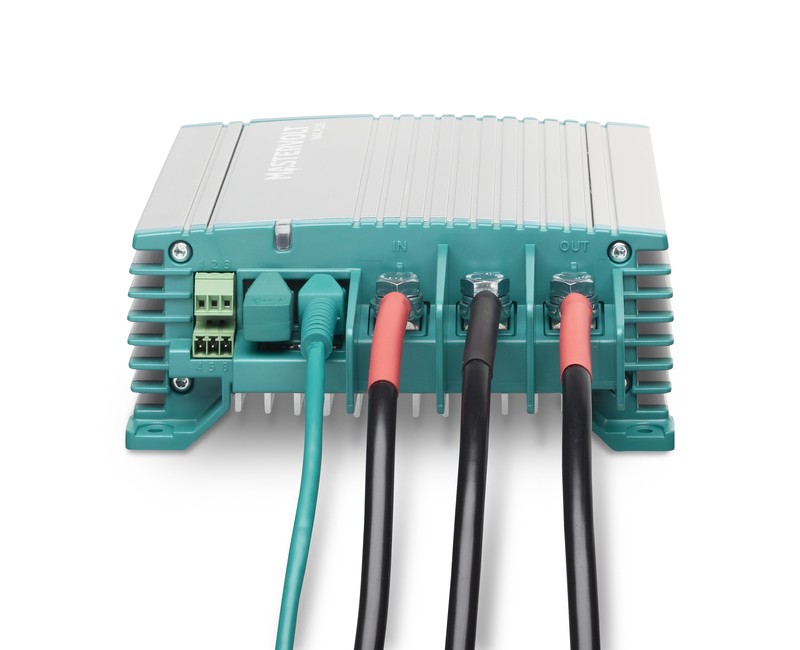 Temperature compensation and voltage sense for an optimal charging result. E-mark certification for mobile applications. Heavy duty connections for easy installation and quick set up via DIP switches. Boost charge voltage when service battery is located further from charging source or in systems with a smart alternator. When a stable power supply or different system voltage is needed. Charging service batteries in Euro 5/6 applications? The Mac Plus provides constant power to the service battery, even when the alternator is inactive. 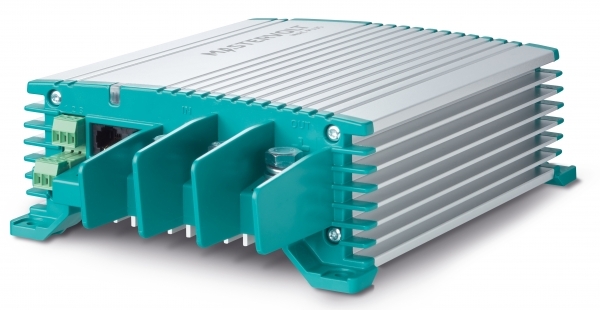 The parallel configuration of several units will provide you over 100 amperes. Advanced high-frequency technology with modern microprocessors ensures minimum power loss when switching from 24 to 12 V and vice versa.